Today, AMD releases the B450 chipset that supports the first-generation and second-generation Ryzen CPUs and APUs. The AMD B450 chipset-based motherboards are designed for budget, mainstream and enthusiast users having a starting price point as well as enabled CPU and memory overclocking. 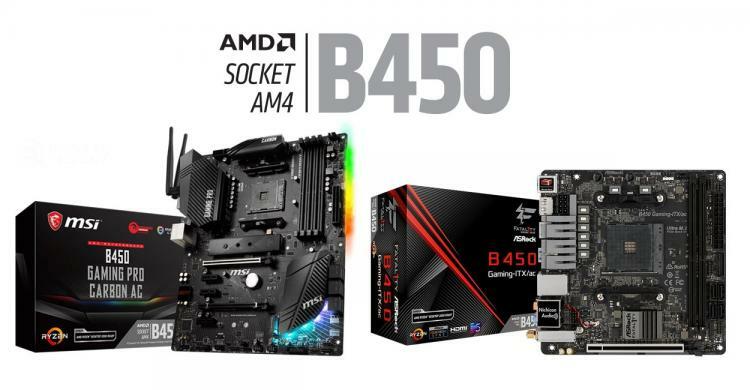 Offered as an entry-level platform, the AMD B450 chipset has improved memory compatibility and stability over the AMD B350 chipset while offering a few premium features that can be found on the high-end X470 platform such as the AMD StoreMI storage acceleration technology. Check out the new AMD B450 motherboard offerings from major partners below. Learn more about the AMD AM4 platform and chipsets here.